Researchers at Weizmann Institute discover brain cells responsible for sense of direction and navigation in bats - and possibly humans. Researchers at the Weizmann Institute of Science, working with bats, have discovered the network of cells that encode the direction of one’s destination. It is believed that the discovery could help explain how memory loss is connected to 'getting lost' while traveling to a destination in patients with Alzheimer's disease. 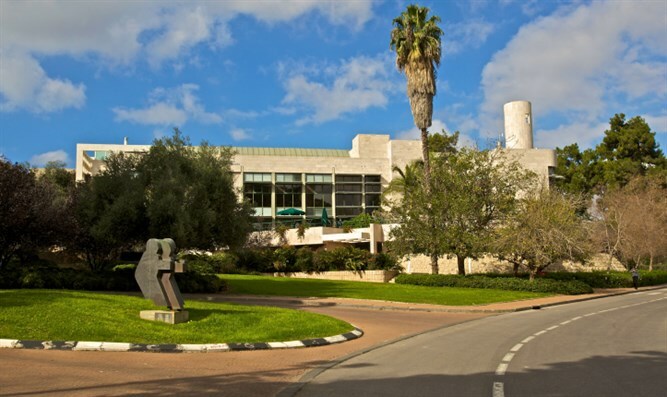 The Weizmann Institute reported the discovery in a press release Thursday. The press release stated that the Nobel Prize for Physiology or Medicine was awarded in 2014 for the discovery of 'place cells' and grid cells, which are neurons in a part of the brain called the hippocampal formation that tell people and animals where they are in relation to their surroundings. These cells chart an organism's starting position. However, the way the brain is able to direct individuals to specific destinations remained unclear. Prof. Nachum Ulanovsky research student Ayelet Sarel of the Weizmann Institute’s Neurobiology Department, working together with Drs. Arseny Finkelstein and research student Liora Las, developed a simple experiment with bats to answer this question. The findings of their research appeared today in Science magazine. The experiment used Egyptian fruit bats and took place in a special room where the bats could fly around. Tiny tracking devices were attached to the bats and enabled the researchers to track their flight paths, and to record the activities of the neurons in the area of the hippocampus which deals with navigation. The study found that about one-third of the neurons in the hippocampus represented the current position of the bats in the room, and that 19% of the neurons were involved in coding the destination of the bats. The researchers then hid the bats' destination, a fruit stand, behind a screen which blocked it from their sight. Despite not being able to see the stand, the bats continued to fly in the right direction and to try to get to the stand "through the wall." The researchers also discovered cells which encode the distance to the organism's destination.